Since then our new product launches have continued to stun the industry. The O in 2010 introduced a fantastic new volumising solution. 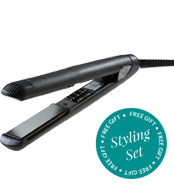 More recently we launched The Wand, which gives unprecedented control and freedom when creating curls. Add shine & sparkle to every style. Whether you want to create smooth and sleek styles, flicks, curls, or achieve the perfect straight look, there's an iron for your hair. From the one-touch temperature control to the hibernation mode and swivel cord; our straighteners deliver everything you need to style your hair professionally and easily. 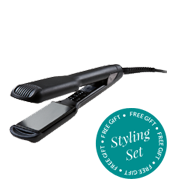 Please note the Cloud Nine Micro Iron does not include the temperature control feature, but measuring only 6 inches in length, it's perfect for styling on the go.